is The Queen herself...... Theresa the Scrapbooking Queen !!!!!!!!!!!!!!!!!!! whoot whoot congrats girl !!!!!!!!!!!!!!!!! I wanted to show you a vintage inspired tag I made using many things from Pro 31 designs. I also used Graphic 45 paper, black pearl pen and accessories. Love these tear drop beads !! Most of these items in this tag can be found on etsy at Pro 31 designs ! Hi Everyone !!! I'm a "guest" at Trendy Twine today....... I say guest because they asked me to do this before they asked my to be on their DT....which I'm ecstatic about because I ♥ the color combos she offers!!! I made a ton of these for gifts it holds a full size candy bar. I also taped gift cards to the candy bar, so when they slide it out they get more of a surprise! I used Holly Berry Trendy Twine to create a string of lights from the antlers! 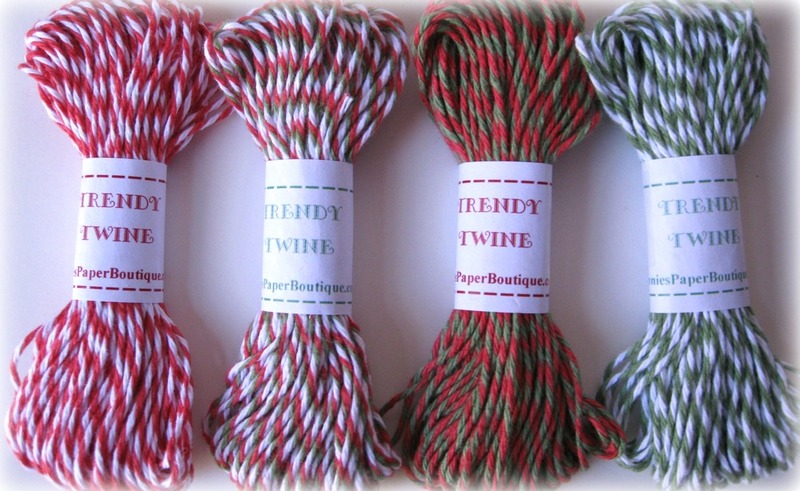 Also some Peppermint Stick Trendy Twine for the nose. I used Scotch clear drying glue and started on the outside and swirled it until I got to the middle! Then added clear accents and course glitter to the outside of his nose. Who doesn't like chocolate and money/gift cards? I know I do !!! You know what else I ♥ ??? 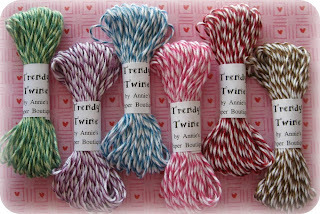 Trendy Twine !!!! They have donated this prize pack for me to giveaway! You can enter twice by leaving a comment on both mine and their blog !!!! Hope you enjoyed my project I will announce the winner tomorrow !!! Love the rollerskates! 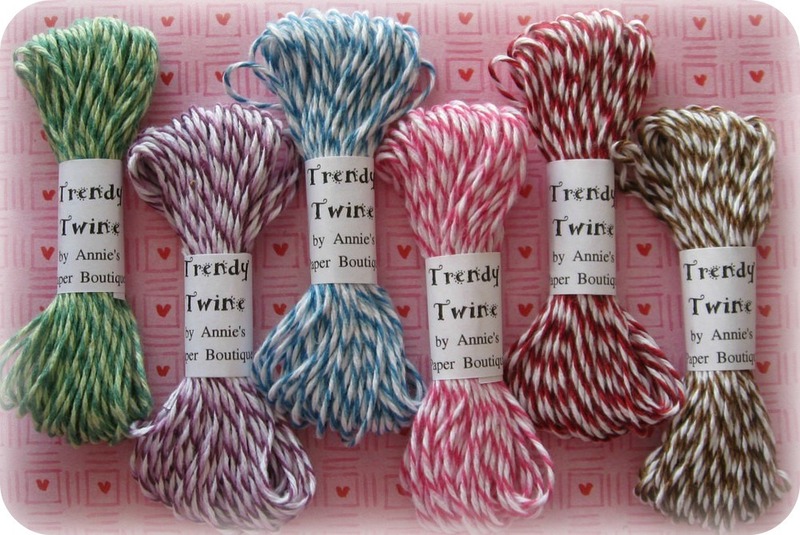 The twine as the laces is such a cute idea! Today is a Greeting Farm Stamp hop that yippy I get to participate in! I created a Non- holiday card using their stamp "Wild West Anya"! and a star Cuttlebug embossing folder. Check out everyone on the hop....by hopping back to The Greeting Farm !!! They will be selecting a lucky hopper for a prize pack ! Back to the 80's hop ! First of all HAPPY BIRTHDAY EMILY !!!! Its obviously all about the 80's I spent the majority of my 80's in grade school and some high school. When I was little my favorite color was purple, I loved flowers and rainbows. I also loved to go to the roller rink ! SO I created a shape card of some of my 80's favorites !!! I used the Nifty Fifties Cricut cartridges, Grape Fizz Trendy Twine, and Peachy Keen Stamps "Stitches"
I also used my silver chrome pearl pen,and some felt flowers I cut! Close up of my perfect bow using my new Unity bow maker...I ♥ that thing! Thank you soooo much for hopping with us today !!! This is also a challenge for Peachy Keen !!! Your next stop is........... Erin.... to rock with you...all night !!! Hi Everyone! As you can tell I ♥ making treats! So I made some treats for my daughters class. Also you remember I posted a pumpkin with sixlet arms and legs a few years ago? Well I decided to try it on a tree! I found these Christmas sixlets at the dollar store!!! Of course I used the super cute Peachy Keen face stamps !!!! For the reindeer I used Art Philosophy, and Doodlecharms Cricut carts with the critter face stamp. For the tree treat I used Simply Charmed and the Snowmany faces. You can find these 1x8 bags at Jaded Blossom ! Theres a ton of party favor type things coming !! These are for the Peachy keen challenge to create anything using a Peachy keen stamp !!! My daughter's Christmas party is this friday, so I voluntered to bring the juice! I measured the juice boxes to create little reindeer boxes that they can reuse once the juice is gone! of course red and green for Christmas !!! I was asked to be on a new design team...................... watch here! 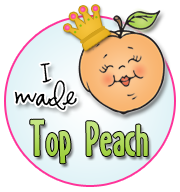 This is a card I made for the Peachy Keen Challenge. I used the County Fair cartridge, medium Peachy Keen Critter faces, the new coming soon Cherry Cupcake Trendy Twine and a "sneak" of a new Jaded Blossom stamp set !!! So I created a card for you using a new stamp line from Jaded Blossom !!! Jaded Blossom Stamp Release and more! Hi Everyone! I am super excited to share with you my second project I made using my new JADED BLOSSOM Stamps!! Visit Jaded Blossom to get these cute stamps, but don't wait to long, there is a freebie stamp for the first 50 customers AND once we are sold out of this release we will not be ordering more of these stamps until closer to the holidays next year! Im SOOO excited its finally coming together! I have teamed up with Candace to launch Jaded Blossom !!!! Here is a sneak of whats to come when we release tomorrow! SO make sure you check it out Saturday morning!! HI Everyone !! If you just came from Misty's blog then you are in the right spot. If not you can start at the beginning HERE. 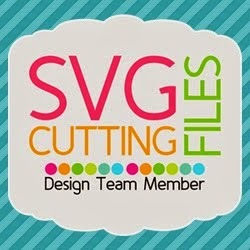 Since this hop is 4 days long I made a few projects for you ☺ The first is a gift card holder. I used the Wedding cartridge and Mini Monsters. The spider is on a wobble so it bounces around ! This is from Mini Monsters as well with a Peachy Keen stamp~ and for their challenge !!! And this one is from Bump in the Night.....such a cute cartridge !!! Your next stop is Kristi's cute project ! My daughter Poppy will be turning "3" soon, so I made cupcake toppers for her party. I made 6 of each color. Obviously these aren't real cupcakes.....On her birthday I will have cupcakes with green icing for grass!!! I used yummy twine from The Twinery, Peachy Keen stamps "Wide eyed kids", George and Basic shapes and Bloom Cricut cartridges. Last night was a 12 hour scrap fest at my house and oh so much fun !!! So I made some treats to give to the girls and incorporate a challenge into it. I used Carmel candy corn, I don't even like candy corn but these are GOOD !!! 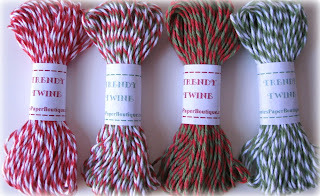 I also used the Simply Charmed Cricut cartridge, Peachy Keen Stitch faces and some yummy two toned green Trendy Twine!